I wonder how my oldest sister managed to avoid all of these spectacular photo ops?? While growing up we didn’t take many family vacations. Our vacations were always trips to see the relatives. 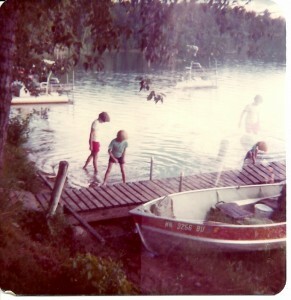 I only remember two family vacations when I was young that weren’t trips to Grandma’s house. 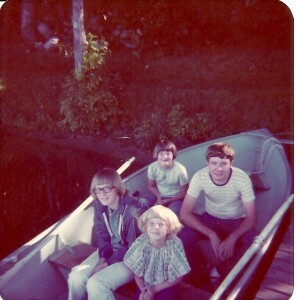 Interestingly enough the one I remember best was a family vacation to a Minnesota resort. We went with my aunt, uncle and cousins and to this day we talk about all the memorable moments. There was the “ugly bug” that lived in some kind of cistern in front of the cabin. It was repulsive yet strangely hypnotic! There was the day that my cousin, Timmy, caught a HUGE northern pike while fishing from shore. All we knew about these lake monsters from the dads (who were out fishing at the time) was that they had teeth that would saw your arm off. He reeled that fish in and we screamed ourselves hoarse until the feisty thing flipped itself off the hook and right back into the lake. Looking back now that monster was probably about 12 inches long. 🙂 That was the family vacation when I learned to love Lucky Charms and rode on my first paddleboat. Ah…good times! My cousin (who is still my BFF!) and I weren’t exactly nature girls so I’m a little surprised by this photo. Finding a leech on our toe would have launched us into hysteria! The main thing I remember about that week is also the simplest thing: we were together as a family and we were having FUN! Isn’t it ironic that this Iowa girl who only took one Minnesota vacation in her life became a Minnesota resort owner?! Now it’s my job to watch people on vacation having fun. I’ve watched little kids catch a 12 inch northern off the dock and treat it like it’s an alligator. I’ve even witnessed the hysterical scene as one or two of those little northerns flipped themselves off the hook and back into the water. It always makes me smile! What a gift to live this life and watch families and friends reconnect over the campfire, fishing or a game of washers. Time spent together is priceless because it’s so rare in our busy lives. I hope this summer you find the time to make some precious memories with your family! The sun is strong these days and is melting the snow. We heard recent reports that indicate that the ice on Bass Lake is about 24″ so that is progress toward open water! We had our first thunderstorm this week and opened the windows just so we could enjoy the clean, fresh smell we associate with a summer storm. We’re loving the onset of spring (and choosing to ignore the cold forecast for next week) and looking forward to welcoming all of our guests back to Wildwood! Check out our cabin pages and our Facebook page for the latest photos and videos. Our neighborhood eagles are very active these days so I’ve been trying to get some video of their antics. 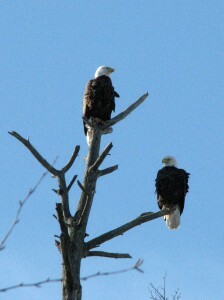 Our neighborhood eagles were hunting this morning from their favorite perch. 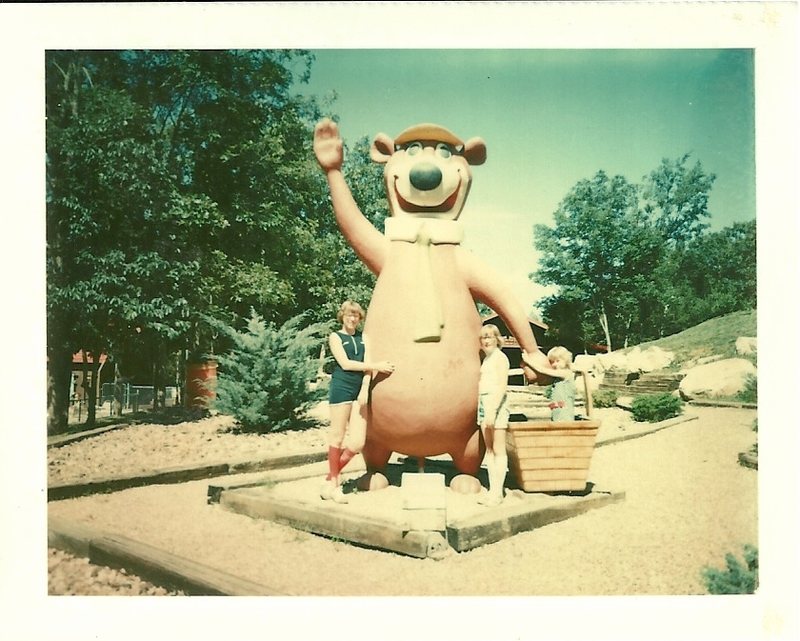 The only other family vacation I remember is a trip to Jellystone in the Ozarks. Nice socks, girls! !